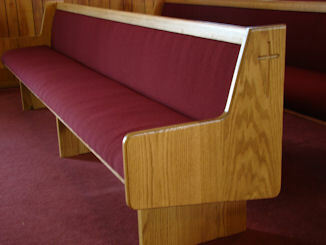 All church pews are handcrafted to your specifications. Seat cushions are out of fire resistant foam and the upholstery is long wearing commercial grade. You pick the style of pew desired and I will custom build them for you.